A Mind of Your Own offers an achievable, step-by-step 30-day action plan - including powerful dietary interventions, targeted nutrient support, detoxification, sleep, and stress reframing techniques - women can use to heal their bodies, alleviate inflammation, and feel like themselves again without a single prescription. Bold, brave, and revolutionary, A Mind of Your Own takes listeners on a journey of self-empowerment for radical transformation that goes far beyond symptom relief. Most mothers have experienced exhaustion, pain, forgetfulness, indecision, low energy levels, moodiness, or some form of baby brain. And it's no wonder: The process of growing a baby depletes a mother's body in substantial ways. But with postnatal care ending after six weeks, most women never learn how to rebuild their strength and care for their bodies after childbirth. As a result, they can suffer from the effects of depletion for many years, without knowing what's wrong as well as getting the support and treatments that they need. Chronic disease is shortening our lifespan, destroying our quality of life, bankrupting governments, and threatening the health of future generations. Sadly, conventional medicine, with its focus on managing symptoms, has failed to address this challenge. The result is burned-out physicians, a sicker population, and a broken healthcare system. In Unconventional Medicine, Chris Kresser presents a plan to reverse this dangerous trend. We're in a bad mood epidemic, but Julia Ross shows you how to rediscover your emotional well-being naturally. According to Dr. Kelly Brogan, antidepressants not only overpromise and underdeliver, but their use may permanently disable the body's self-healing potential. We need a new paradigm: The best way to heal the mind is to heal the whole body. In this groundbreaking science-based and holistic approach, Dr. Brogan shatters the mythology conventional medicine has built around the causes and treatment of depression. 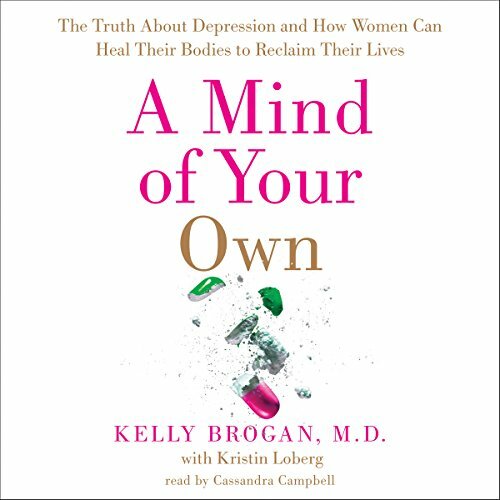 Based on her expert interpretation of published medical findings combined with years of experience from her clinical practice, Dr. Brogan illuminates the true cause of depression: It is not simply a chemical imbalance but a lifestyle crisis that demands a reset. It is a signal that the interconnected systems in the body are out of balance - from blood sugar to gut health to thyroid function - and inflammation is at the root. A Mind of Your Own offers an achievable, step-by-step 30-day action plan - including powerful dietary interventions, targeted nutrient support, detoxification, sleep, and stress reframing techniques - women can use to heal their bodies, alleviate inflammation, and feel like themselves again without a single prescription. Bold, brave, and revolutionary, A Mind of Your Own takes listeners on a journey of self-empowerment for radical transformation that goes far beyond symptom relief. I found the information presented here to be brave. We need more specialists in the field of health to come forth with their experiences and knowledge of Big Pharma and the food industries incessant corruption that is poisoning us from every direction. We can't simply stand aside any longer and just allow it. Voices must be heard in whatever capacity possible. If you are not comfortable with leading edge information you may find this book to be more in line with conspiracy but if you have intuition and ability to think for your self you will know the truth when it rings. Dr Kelly Brogan courageously presents her experience in the world of mental health and her personal journey with human biology and nutrition as an offering to empower woman to forgo the damaging effects of pharmaceuticals as well as donates a wealth of knowledge to young, old, male, female ground breaking information on diet and lifestyle that is truly all encompassing. Only the brave enter here though. Be prepared to have the rug pulled out from under your beliefs about certain systems that make up our current world. The narrator sounds haughty, know-it-all, and sarcastic. It was difficult to get through this book because of the narrator. However, the information provided is very important, so I struggled through it. If this is the first time you have heard the material or it's a reminder, this book is right on the mark. As a functional nutritionist I know when I stray from what works for me and try to justify it saying it's ok, I should be able to handle it, it just doesn't work. 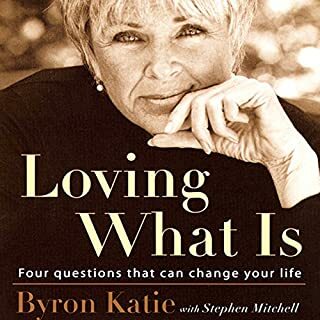 I've had "depression" all my life searching for ways to "handle" it from meds to counseling to more permanent solutions and nothing is more powerful than what is suggested in this book. Critical information for survival ! I'm so on this mission for truth, understanding, and options for a plan of action with my personal health issues!!! I'll save the broken bones for the doctors but avoid conventional medicine as much as possible. 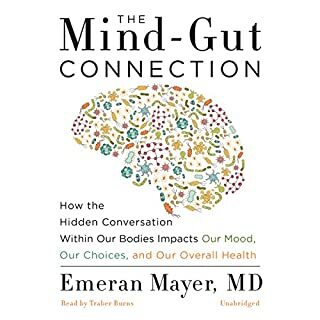 I knew I wanted to read this book asap when I heard it was going to rock the pharmaceutical industry, as we ALL should as often as possible. JUST SAY NO. Our lives, our kids, our loved ones are being sold out. I'll share this book with as many as I can!!!! Great narrating especially with all the complexities covered in full detail. Thank you. Best of luck on spreading the message!!! This is a good guide to healing depression through natural approaches. I do think it is a bit overly optimistic though, especially for people with more persistent and life-long mood issues. Some of us have spent years already working with the kinds of nutritional protocols and lifestyle changes Brogan suggests, but achieving true healing has been impossible or short lived. I agree that psychiatric drugs are not the answer, but I also feel that for many of us, there is no real "answer." The world is inherently a stressful place to live in these days with all the toxins we throw into it, and all the technology we have chosen to live with. Some of us are probably born with genetics that simply don't fit comfortably in this modern world. Brogan seems to assume that if we are mentally ill, we are obviously still eating junk food and not taking care of ourselves. Not true. I have not eaten Crisco or cheatos for over 20 years, but I felt like I was being talked down to by someone who thought she knew better than me. 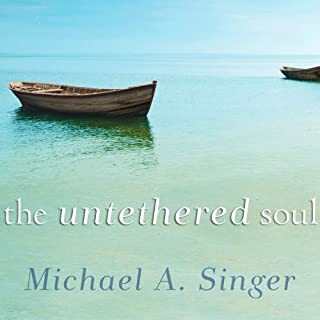 The narrator's horribly precious intonations did not help, and probably lead me to feel a little worse about the author than I would have if I read the book myself. There was just way too much touchy-feely, privileged upper-middle class, white yoga lady vibe. To me, that energy can only make light of mental illness and gloss over the complex challenges involved. Also, the author disregards the fact that doing her "program" requires a tremendous amount of financial and socio-cultural resources that are not available to many. That said, I still give this 3 stars because there was a fair amount of valid information of how to address depression naturally. For some people this will be very useful. The truth is though, this advice simply will not work adequately or won't be sustainable for some of us who need it the most. Everyday I am talking with other woman, mothers, and friends who are struggling with depression, anxiety or some form of mental angst. This book is the answer. This is the transformative information we have been searching for. This is what our world needs to hear to shift from fear-based choices to having faith in our bodies and our gut instincts. I have never struggled with anything close to depression and found many pearls of wisdom and many immediate take-aways to start now. Please, read this book with an open mind and heart. Notice yourself feeling the truth and don't be afraid. It's a game changer. Take ownership of your health and give your body the chance to thrive! This book is the result of what happens when you allow motivated reasoning to flourish instead of attempting to logically parse scientific data. We want so badly to believe that if we just eat some garlic, perform coffee enemas, and do yoga, that we can prevent disease, but this worldview is dangerously misguided. Holistic wellness is wonderful and important for overall health, but not at the expense of reason. This is the most life altering, profound, mind blowing book I have ever read. It has completely changed my life and how I will move forward in this life. I do think this is one you are going to listen to, but then want to buy the hard copy. I feel like I want to be able to study it and live by it. Kelly Brogan is a champion among women for writing this book, with all its science behind it. 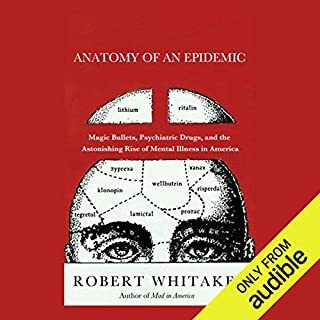 Listening to this book to help understand my wife. She is reading it simultaneously. 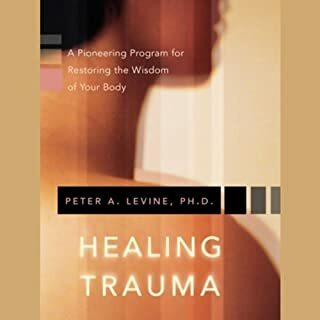 As we implement the lifestyle changes recommended in this book, we are seeing real change and healing (not just bandaid coverup of symptoms). I love how the author doesn't pull punches, is candid, while being fair and encouraging. I was worried that the biological and physiological portions would go over my head, but it really was just enlightening. I feel empowered through knowledge. We can beat this.